Also known as spindletree, winterberry euonymus is best known for its fall colors of pink, orange, and red found in both its leaves and fruit capsules. Winterberry is tough and adaptable and is considered to be quite drought tolerant when established. It's generally a dense, low-branched, multi-stemmed small tree growing up to 20ft tall and wide and which can take on a rather ragged appearance with age. The pink fruits are especially attractive as they split open to reveal bright orange or red seeds within. Eastern Wahoo (Euonymus atropurpureus) is native to the Midwest US including eastern Nebraska. 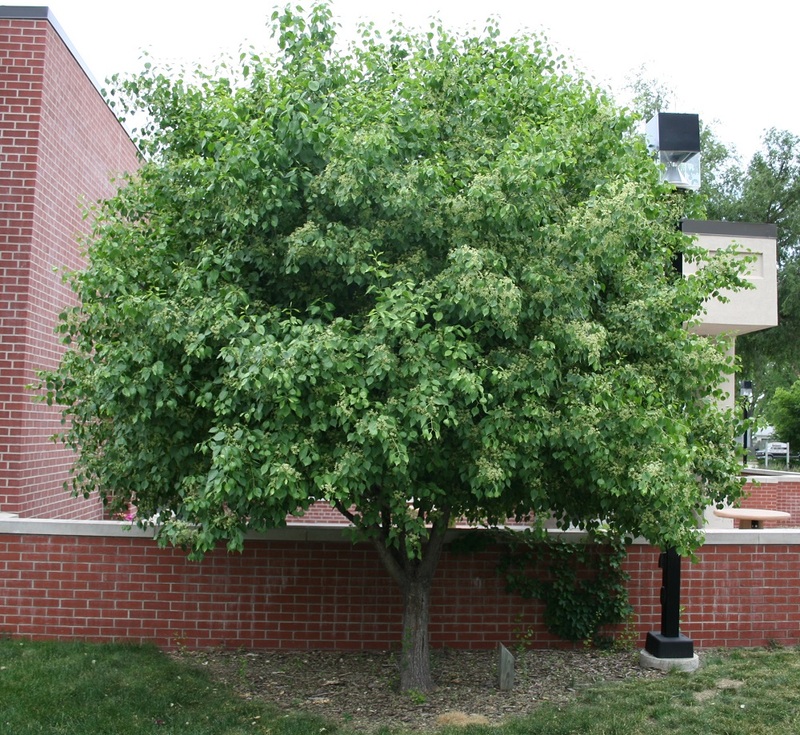 Though it’s generally considered a large-growing shrub, it can reach the size of a small tree. Wahoo also has attractive pink fruits in the fall and heavily-loaded specimens can appear to be covered in pink popcorn. Developed by Justin Evertson, Kyle Martens, and Denise Wally.